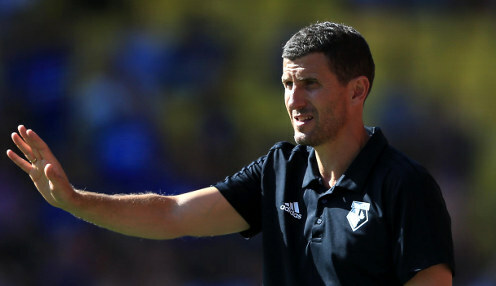 Watford boss Javi Gracia says Harry Kane is not his only worry ahead of Sunday's visit of Tottenham. The Hornets have taken the maximum nine points from their opening three Premier League games, the first time they have ever done so in the top-flight. Wins against Brighton, Burnley and Crystal Palace have earned them plenty of praise but Tottenham will present a far sterner test. Spurs demonstrated their Premier League title credentials with a 3-0 win at Manchester United on Monday and Harry Kane's goal at Old Trafford was his second of the season and showed he is now past the doubts about him being able to score in August. We will try to do our best but not only thinking about Kane. Kane has taken most of the headlines but it is arguably Lucas Moura who has been Spurs' best player this season, netting three goals, including a brace against United. Dele Alli has also looked sharp, while Christian Eriksen has continued to run the midfield with class. Gracia has been developing his game plan all week and his side are 17/4 to win the game, with the draw 29/10 and Spurs available at 8/11. The Spaniard accepts the England captain will provide his side with plenty of issues, but that does not mean he will be ignoring their other threats. "For me it is not different from other players and we know Kane is a very good player," he said. "For me he is one of the best. We will try to do our best but not only thinking about Kane, but also [Lucas] Moura, [Dele] Alli, [Christian] Eriksen and many players."